Things will come to you when you do “your” thing. 1. Yvonne how have you discovered pole dance? How was your learning process to become a professional pole dancer and Dutch Pole Champion 2014? How was your pole dance experience in the Dutch TV Show? I discovered it through a friend who took a pole course and showed me some moves. Because I was already strong from my climbing background, I could immediately go upsidedown. I love that feeling! In both my national championships and TV show I really had a positive experience and grew a lot. Maybe not directly physically, but more mentally in the way I approach pole, dance and the way I look at things. Meeting other dancers (also from other disciplines) is always inspiring. They move so beautifully! 2. You have your own pole school Vertical Balance. What is the difference in teaching women, men and kids pole classes? 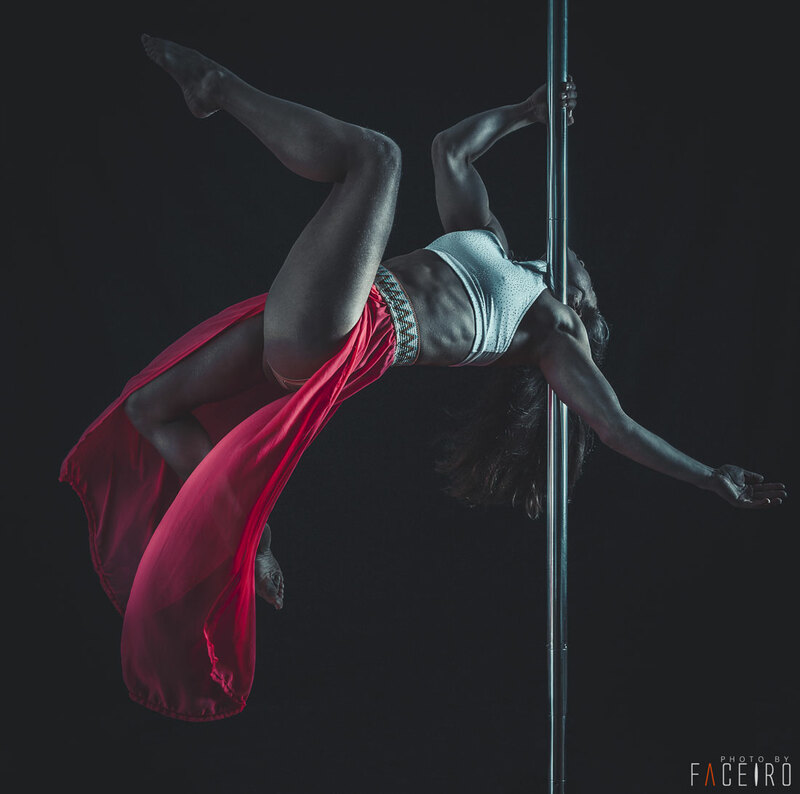 What have you learned about yourself when you started teaching pole dance? Every human being learns in a different way. For example: some learn my looking at a pole move, some need a long explanation, some just need to simply let their body try it. During many years of teaching I try to “sense” for every of my students which way they prefer and cover as many ways as possible when I demonstrate the move in front of the class, often resulting in me trying to talk in some weird upside down position hahaha. Naturally, kids classes are organized differently than adult classes as they have a different learning curve, and also the goals of a kids class are different than adult classes. What else do you like to do besides pole, for example aerials, dance or fitness and why? I try to take as many aerial and dance classes as possible, but because I run my own business besides my own training it doesn’t happen as often as I want to. In my usual day I get up in the early morning, answer emails and messages, go train in the early afternoon and teach in the evening. When I don’t teach, I like to take tricking classes or dance classes. My body loves other movement!!! 4. What is your favorite pole combination? How do you develop your transitions, drops and flips? All transitions start the same: in my head. Usually when I am in a quiet place: the train, walking the dog, in the shower, etc. Or often when I listen to music: then I kind of “see” a trick happening. Sometimes, it happens in a freestyle. But then I might not remember it at all: it’s hard to be thinking of pole moves when you are freestyling. Depending on the transition, it has a different developing stage. For example, in handstands I can train a single transition for hours in a row, and try different exits. Flips, I don’t do that much in a row. I want my mind to be focused, and my body to be awake: this sh*t is dangerous. It takes a lot of more time to do a perfect flip than a perfect handstand combo. 5. What is the most important for you in a pole dance choreography? How long does it take to you to prepare a performance? GOOD QUESTION! <3 Nobody ever asked me this. I think showing something truly me is the most important. I feel like in a pole performance, I take a little piece of my inside; something that’s been on my mind, in my heart, that’s been troubling me, that I love or something that moves me, and I morph it into movement on stage. It always starts with something close to myself, that I want to show. It is the reason I move. 6. Do you travel and perform often? Where? How is the organizational part of a pole performance in another city or country? Do you have to take a stage pole with you? 7. Which material of a pole stage do you recommend: chrome, brass or something else? I think all hands/skin types prefer different stuff. So I always recommend: try it before you buy it. If you have a natural dry skin, you allergic to chrome or your hands sweat a lot, it can all depend on your choice. 8. Could you please tell our reader about a funny episode during your performances or competition? 9. 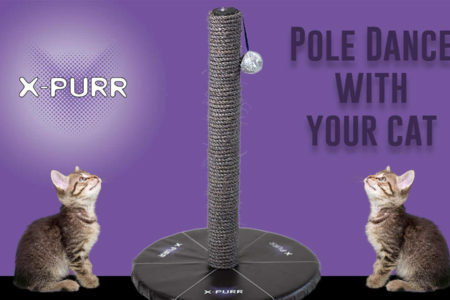 Could you share a pole drop and a pole flop to our readers? Pole Drop: one of my favorite ones is a classical Chinese Pole drop, where you go from a true grip handspring to a simple sit in the pole. I love that you can easily combine it with other tricks or dance movement on the beat. And it’s an easey one to learn but really looks impressive! Pole Flip: One I really like is a simple cartwheel to bicep/funny grip. It’s a little hard to describe in words, but what I love about is that you start the motion on one side of the pole and continue on the other side with the same energy. And again, this one is easy to combine with other moves! 10. What tips can you give for those who are on the way to become professional pole dancers? 11. Where one can visit your classes and workshops or contact you for a performance?